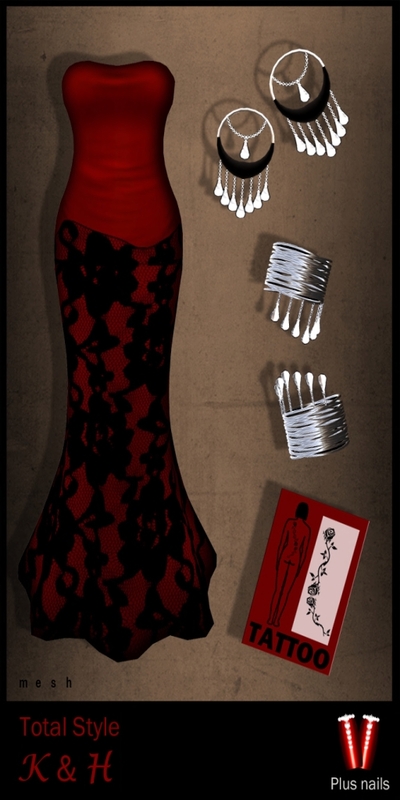 We can say Fashion is a big part of our SL lives. What we wear signifies who we are and what message we are projecting about ourselves. However, clothes are not the only way to express one’s self. You can use bodywear jewelry to do this too. What is bodywear jewelry, you ask? 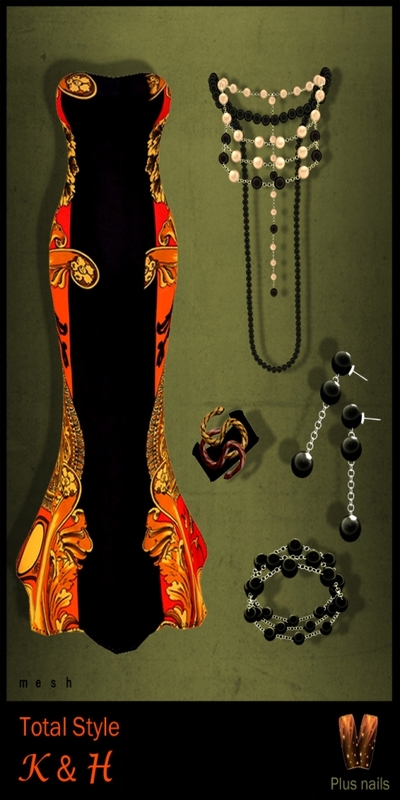 Bodywear jewelry is big in Second Life© and there are quite a few designers out there who create it . However, to explain this jewelry in more depth I could not think of a better creator than Kimber Carter who herself creates one of the biggest range of Bodywear jewelry in SL and is also the owner of the famous CCD jewelry store in SL. Kimber was kind enough to spare some free time between working on her new creations to have a chat over coffee about Bodywear Jewelry and future CCD creations. Tea: So Kimber could you please tell us a bit about CCD? 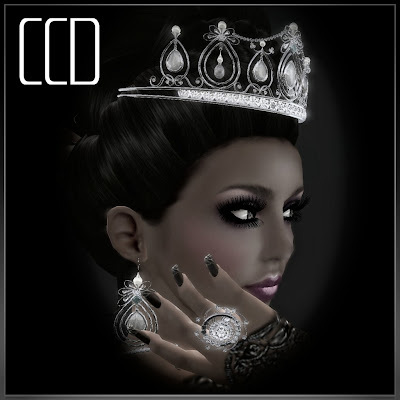 Kimber: CCD is a full sim plaza with clothing, jewelry, cosmetics, fingernails, hair & much more. Tea: How did CCD begin? Kimber: The first item I made was a ring and after that I just could not stop. I kept expanding my product and the size of my store … and now I have a store for each type of product that I make. Tea: You create lovely Bodywear can you tell our readers a bit more about this? Kimber: Body Wear means jewelry & accessories that can be worn all over the body. I believe that your jewelry, nails, & accessories are just as important as the dress you wear. We have a brand new store at the plaza called “Total Style”. At Total Style you purchase a complete outfit. You get mesh clothing packaged with a full set of matching jewelry & fingernails which are all color coordinated and very stylish. Tea: Have you seen the popularity for Total Style grow from the time you started this idea to now? Kimber: Oh yes… we get a lot of compliments from our customers about Total Style outfits… they love them. It takes time to create an outfit and coordinate it with jewelry, nails & accessories…. And we do this all for you … all in one package. Tea: Why do you feel it is popular? Kimber: Total Style outfits are made with the highest quality jewelry & nails and mesh clothing creating a whole look. Tea: What is next for CCD? Kimber: I am working with another very talented designer named Hela Lennie. Hela specializes in high quality mesh clothing & accessories. She has just opened a new store at the plaza. Hela and I co-own and both design for Total Style. Total Style is becoming very popular and growing very fast. Also, I began a new huge collection of mesh fingernails and I am in the process right now of making one mega store for fingernails. Tea: What do you like to do when not creating? Kimber: I like to explore interesting areas or visit with friends… but most the time I come here to work. Tea: Anything else you would like our readers to know about any future promotions? Kimber: Every weekend we promote our new Total Style outfits at an incredible low price of 100L for each outfit. This sale lasts for a week with incredible quality at a low price. 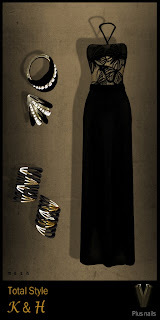 So Bodywear jewelry looks as though it will continue to play a strong part in the SL fashion industry. Anything which enhances your look and also fashion I am definitely for.